It must be the time of the year: I expand my review horizons with this Christmas party game. Again, I thank Uel, Shannelle, Lael and all my church friends for first showing me this game 2 Christmas' ago. Hopefully I'll get to review more party and card games that aren't exactly 'sold in a store', but are playable by anyone with the time and energy to prepare for it. Publisher: None, although there is a recent card game called White Elephant that is based on the same rules as WEGE published by Mayday Games. Game doesn't need to be "bought"
This is a good Christmas party game for that time of the year. Everyone pays an 'entry fee' that takes the form of a present or gift of a specified price range. Players can choose to be creative and spend their money however they like to secure the present. In fact, players are encouraged to produce a wide variety of gifts - both good and bad - to make the game interesting. It is important though that you do not set a price range that is too low (where there will be a limited variety of gifts on offer) or too high (where people cannot afford it). Obviously adequate notice should be given to everyone involved so that they have enough time to buy their presents. 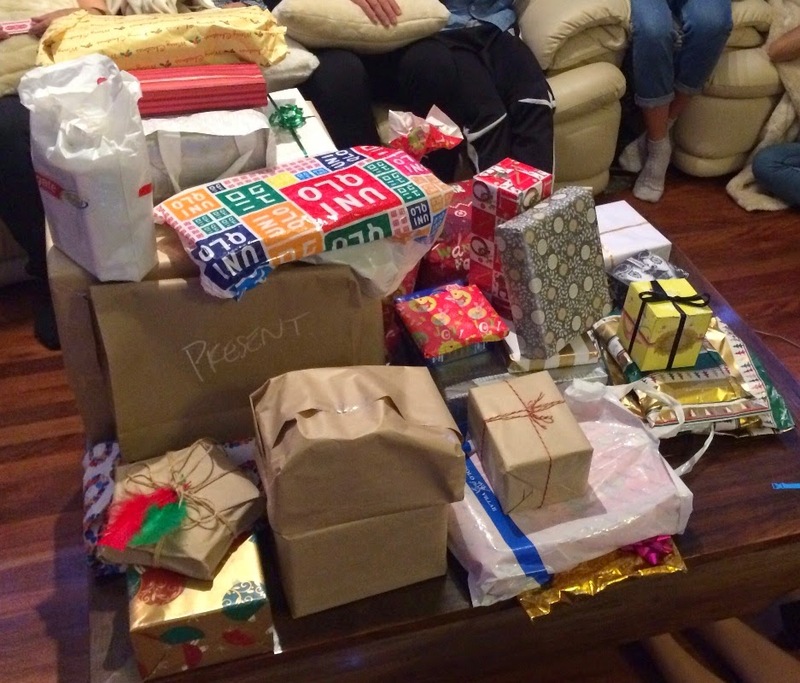 On the day of the game itself, the presents are amassed into a pile. A player, on their turn, chooses to either touch (yes, touch) a present in the pile (thus securing it) or steal a gift in the possession of another. This continues until everyone has a present. There is a person designated as the joker who a bit of a random wildcard who can choose to enter the field before someone takes their turn (subject to some rules, see the below). I like this game because it is a wonderful social lubricant, reserved for one special day in the calendar - the game does feel like a nice occasion or celebration, as all players know that a minimum amount of planning and effort has been consumed on the part of each player (in so far as effort is involved with purchasing a present!). However, I should note that the cost of purchasing presents could present a significant setback and deterrent, especially for those with tight budgets; but once this hurdle is overcome, the merits of the game are there for all to see. Setting a price range that is too high, even for a group of 'rich' friends, might not be a good idea either - rather it is good to see people use money as efficiently as possible which is a skill in itself. Finally, treat this game as a party game. Forget about being serious and loosen up - there is strategy involved, to a limited extent, but that is not the main focus of the game. It is exciting enough seeing what people have brought to the table; it is also fun seeing people avoid certain presents they don't want to take (and contrarily, see your friends scheme for a present that they really want)! Little bit of strategy involved - you can form tentative alliances. Good party vibe and atmosphere if you invite your friends!! Can plan a whole Christmas day/event based on this. Plenty of room for creativity as each player decides how to most efficiently use their money. Not too much strategy - but who cares really! The element of surprise as each present is unwrapped, and the feeling of suspense as each present could potentially end up in anyone's hands. If you like the sound of that please organise a White Elephant Gift Exchange!!! 1) Organise a time, date and venue and invite as many people as you like. 3) Buying gifts: Each person should now buy ONE gift of their choice within the specified price range. You may or may not want to emphasise that the price must be strictly confined to this range. Players are encouraged to buy either a "dud" present (that is, a present that is generally undesirable or one that nobody will like) or a "good" present (ie. a present perceived to be cool or one that you foresee will be in demand amongst the people in your group). A variety or mixture of such presents makes the game interesting; however, it is probably better that there are significantly more good presents than bad presents. You can also buy an 'average' present, whatever that means. It's up to you. Some presents can share both of the characteristics of being a good and dud present. For example, $30 worth of toilet paper might make for an interesting dud present - whilst practical for some, it obviously won't appeal to everyone for obvious reasons. Money itself can make for an interesting present, but it is obviously desirable that only 1 or 2 people (maximum) bring money to the table. Otherwise this makes the game boring! 5) Get a piece of paper and draw X small squares, where X is the number of people playing. Write down one number on each square, starting with the number 1 on the first square; 2 for the second square.....etc etc until you get to number (X-1) for the (X-1)th square. For the Xth square, put the letter J on it. J stands for the Joker. I'd number 1, 2, 3 for each of the first 3 squares respectively....until I reach 19 for the 19th square. For the last square, the 20th square, I write J for the joker. 6) Cut the squares out and shuffle all the squares into, say, a bag. 7) Draw squares from a bag and give a square to each person. 8) Start with 1. Call the number 1 out. Whoever has the number 1 on their piece of paper approaches the pile. Whichever present they first touch, whether intentionally or accidentally, is the present they get. The present they first touch is unwrapped and shown to everyone. Suffice to say, the game ends when everyone has a present. Here are some important rules about stealing. Stealing is defined as a present being taken by Person A from Person B. If a present is stolen 3 times, the present is "locked in" and cannot be stolen any more by ANYONE. The joker can INTERRUPT proceedings at any time, so long as they interrupt the proceedings at the start of a new round (ie. before the person whose number is called out makes their move). 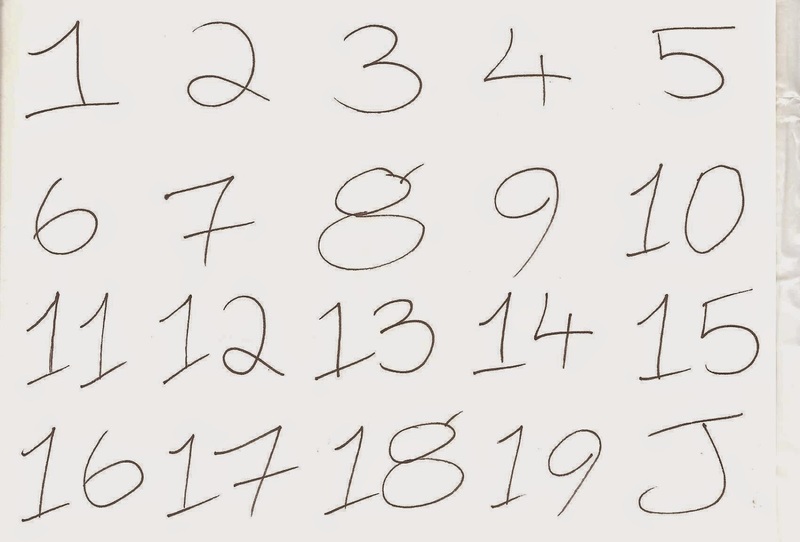 For example, if the number 7 is called out, suppose 'person 7' then steals from Person A. Person A steals from Person B. The joker can only interrupt BEFORE 7 makes their move, not AFTER 7, Person A or Person B does their move as that is during the round, not before the round starts. (Alternatively you can say the joker can interrupt 'after a round has ended' which is when all stealing actions after the person whose number was called out are resolved).